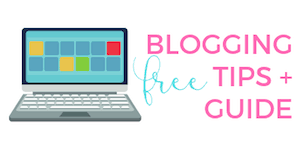 Over the course of a year, my blog went through a lot of growth! 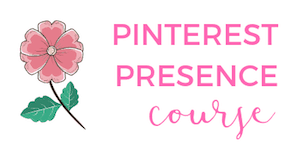 I started a Pinterest management business. 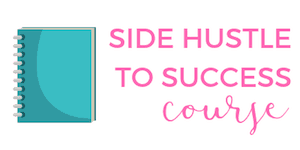 I also launched a Pinterest course and wrote a book on how to side hustle. Because of all these things, I've slowly had to start coming out of my shell and recognize the fact that I need to be a little more open about who I am! This included using my first and last name, hosting webinars and attending local networking events. 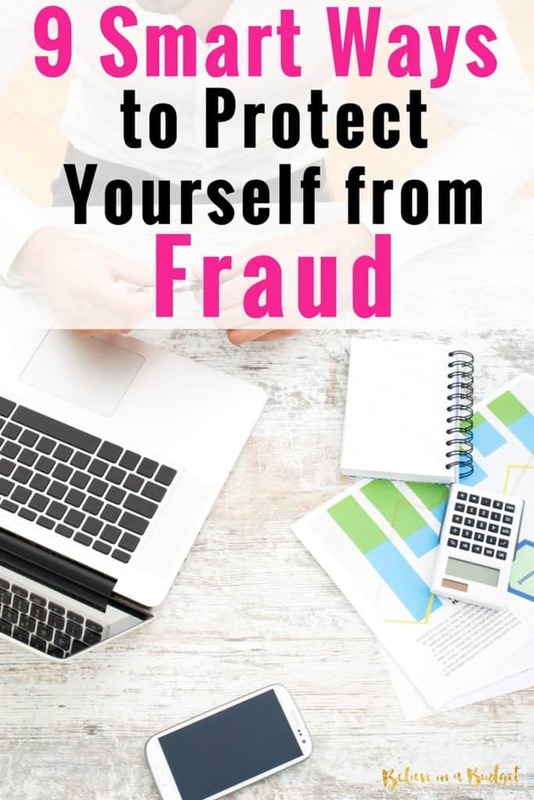 The one thing I'm still really careful about is protecting myself against fraud, especially when it comes to making purchases personally and for my business. Every day I check my bank activity on my cell phone to make sure nothing weird is happening! I also took this quiz from USA Today called the “What’s My Fraud IQ?” Quiz. This is a fantastic quiz that you should take because it asks a lot of really helpful questions that you might not think about. Luckily, I got every question right, but if you had asked me to take this quiz five years ago – I definitely would have gotten a lot of the answers wrong! Fortunately, I do my banking with Chase and have nothing to worry about! Over the past ten years, I've had my mortgage with them (seriously can't believe I've been a homeowner for ten years), a credit card, a business checking account and personal checking account. That's a lot of trust! I'll be honest; getting the call totally had me panicking, but Chase was able to handle everything for me and it was painless. It really is true: Fraud prevention is a partnership between cardholders and their bank. Zero-Liability Protection – You don't have to worry about being responsible for fraudulent charges. This includes if someone uses your card or your bank account information. 24/7 fraud monitoring – You'll either get a text, email or call you if something looks weird going on with your card or bank account. Embedded chip on your card – A chip uses a single-use code during a transaction to make sure it's legit. It's like getting a second layer of verification to make sure your card is safe! Get a new card ASAP – Once your card is cancelled, Chase will send you a new credit card immediately if fraud is confirmed or if your card is lost or stolen. If you're on vacation or traveling, Chase will help authorize the credit card purchases you need. To make sure you stay on top of your game and watch out for fraud, make sure you sign up for bank alerts in case there is suspicious activity happening on your card. You want to make sure a bank representative contacts you as soon as this happens! If you're like me and have moved a few times in the past couple years, make sure your address and information is up to date. I always forget to change my address because I do so much online! But make sure your shipping information is current. Put a password on your cell phone or use your thumbprint! The last thing you want to do is lose your cell phone and then somehow a hacker can get all your bank information from your phone. Try not to swipe that card when buying something. If you have the option, insert your card into the reader so it's more secure! Watch out when you make purchases over public Wi-Fi. I am so, so guilty of doing this and really need to be more careful. I do most of my purchases through my cell phone and never pay attention where I am when making these purchases. Do you know how easy it would be for a hacker to grab my information?! Finally, make sure you check those bank statements. Like I said earlier, I check my bank activity daily to monitor my expenses and income, but I still like to look at my bank statements each month to make sure I didn't miss anything. I prefer to get my statements online so I can download them for safekeeping. If you do spot anything inaccurate or unauthorized, contact your bank immediately. Consumers tend to “block-out” fraud protection advice, leaving them vulnerable to fraud. Even consumers who are aware of the risk aren’t taking all of the necessary steps to help protect themselves. Do you think it’s worth it to pay for fraud protection? Yes, I think it can be! Especially if you’ve been a victim of fraud before, I think it’s nice to have the reassurance! Credit is everything nowadays. You have to guard that like you would guard your life. Have you also ran a name check to see if anyone with your similar name has any credit accounts possibly opened in your name? I helped my son out by getting a parent student loan. I was quite shocked that I Never had to appear in person or get anything notarized. This was a govt loan so they have security measures and can hook to your IRS account. All information was on line. I didn’t receive a paper copy of anything until about a month after the loan dispersed. Kinda scary. Oh wow, that’s crazy! I’m glad it worked out for you – but can you imagine if someone had your information?! I’m actually getting a new debit card from my bank as precautionary measures. When I found this out, I was a little worried that there was fraudulent activity on my account, but there wasn’t. It’s good to know that banks are protecting their account holders. You are so smart to be safe – – that’s totally what I would have done as well!